Quality Home Improvement, Inc provides a full line of patio covers to help you keep cool and get the most enjoyment outdoors at your home or business. 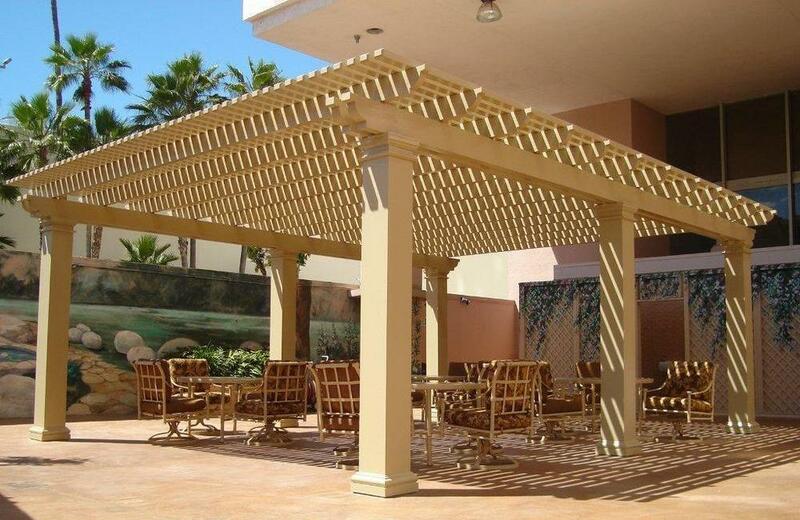 Quality Home Improvement, Inc ™ is one of California's leaders in the Patio Cover industry. 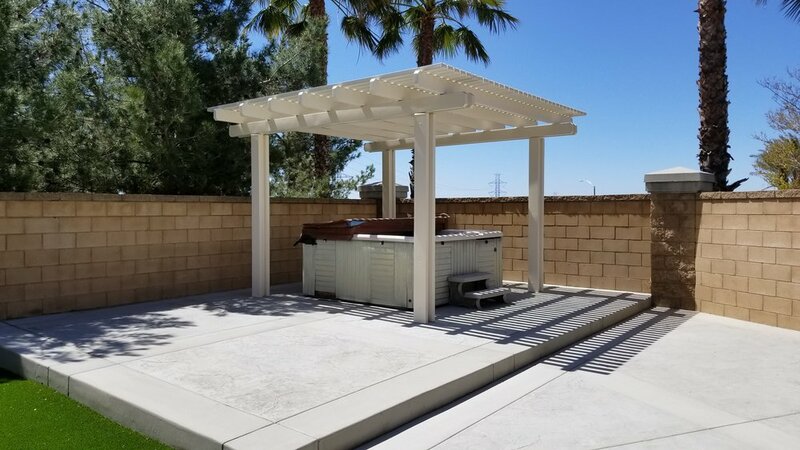 Our installation territory spans from the Southern California beaches to Palm Springs, from San Diego to the High Desert, ... We have truly got you covered. OUR ALUMAWOOD PATIOS COME WITH - LIFETIME PAINT, MATERIAL & LABOR WARRANTY!!! OUR GOAL IS SIMPLE: To provide you a quality residential or commercial product, installed by experts, at the best price possible. We are in the business of shade, protecting your homes, businesses, property and families from getting a little too much of our wonderful California sun. We provide premium Alumawood Patio Covers. We can also provide and install stylish Patio Enclosures and Sunrooms upon request. We will provide you with a Free in-home estimate, limited lifetime warranty, permit services, HOA approval, custom design and total peace of mind at the same time. With many years of knowledge and experience and several ways to finance your project, we know how to get the job done. ANSWER: Absolutely!, ... We offer 3, 6, 9 or 12 same as cash payment options or you can put the cost of your new patio on your property taxes. Q: CAN I WALK ON THE PATIO COVER? ANSWER: The covers are not designed to hold that much weight in a small area. We do offer an 3" insulated cover that can be walked on. That cover can also be trimmed out in Alumawood, giving it much the same appearance. For a few more dollars per square foot installed, we can accommodate you. Q: CAN A COVER BE ATTACHED TO THE OVERHANG ON MY HOUSE? ANSWER: Typically, yes. There is a limit to how much overhang is allowed due to wind forces. Usually the fascia can be trimmed to allow us to attach to the house wall. Q: HOW ABOUT A HAMMOCK? ... CAN i HANG ONE OF THOSE UP ON MY ALUMAWOOD PATIO? ANSWER: We don't recommend that you attach a hammock because the material is not designed to hold weight in that manner, but the post spacing is usually sufficient to put a free standing hammock between the posts for the same look. Q: CAN I HAVE PLANTS ON THE COVER? ANSWER: We have "Aluma-hangers" to hang over the beam on the solid covers, and the lattice covers have lots of places to use fishing line or soft woven straps. You wouldn't want to use anything that would scratch the paint. Q: WHY DO YOU USE 6" FLAT PANS ON YOUR SOLID COVER VERSUS THE COMPETITION, WHO USED AN 18" W-PAN? ANSWER: We think a 6" pan looks better on a residence. It has much more of a wood plank look. Q: WHAT IF I HAVE EXISTING POST STRAPS? ANSWER: We will cut them off flush with the concrete, and in some instances can cover them up with our posts. Q: WILL I NEED FOOTINGS? ANSWER: Only if you do not already have a standard 3 1/2" slab, or if you want a freestanding cover. On an attached patio cover we anchor the posts to the slab with red head anchors, eliminating the need for footings. Q: HOW DOES IT STAND UP TO THE WIND? ANSWER: Our products are engineered for 90-110 mph winds. These ratings meet or exceed all city/county requirements. Q: WHAT IF THE WIND BLOWS DOWN OUR NEW ALUMAWOOD PATIO?, ... IS THAT IN THE WARRANTY? ANSWER: That would mean that the wind limits were probably exceeded and an insurance claim would have to be filed. We would work with your insurance company to resolve the issue. Q: IS THE ALUMINUM HOT?, ... DOES IT RADIATE THE HEAT? ANSWER: No. It reflects most of the heat. It would be warm to the touch on a hot day, but keep in mind it's approximately 8' away. The shade factor far outweighs any residual heat. Q: CAN YOU TEAR OUT MY OLD PATIO COVER AND BROKEN CONCRETE? ANSWER: Absolutely! ... We have done this for many of our customers, for an additional cost, we can take care of this for you. Q: CAN YOU CUSTOM STAMP AND STAIN MY NEW CONCRETE SLAB TO MAKE IT LOOK AMAZING? ANSWER: Absolutely!, ... Many of our customers ask for this from time to time, we are more than capable of taking care of this for you as well, for a few more dollars per square foot installed, we got you covered. Q: CAN YOU INSTALL CEILING FAN OUTLETS OR LED LIGHTING IN OUR NEW ALUMAWOOD PATIO COVER? ANSWER: Absolutely! ... We do this all of the time, for a few more dollars per square foot installed, we got you covered. Need Backyard Ideas for Patios? We Have Them! Quality Home Improvement, Inc ™ has you covered in more ways than one!